When the nightlife in Bangalore comes out of anyone’s mouth, things that come to mind are drinks, dance and Djs. But our country’s famous states have nightlife beyond this. With the three D’s mentioned above Bangalore is a paradise for the people with the amazing road trips, best late night restaurants, delicious local food and of course the most beautiful night clubs and discos. Youth who are accustomed to the nightlife specially travel from many parts of the country to experience the nightlife over here. This place is well known for its local food especially in late night and the clubs where one can dance, sing, drink and chill with partner, friends and even with family members in late nightlife. Many youngsters not only near Bangalore but from all over our country take road trips to this place to experience the nightlife of Bangalore. Youngsters let their souls enjoy the harmony. As they spend the nights here camping with the amidst nature in the backwaters of the Manchanabele Arkawati River. This place is around 40 kilometers from Bangalore. To camp in this place is like sleeping in the lap of nature. One can here the noises of wind, waters, leaves, trees, birds, etc. 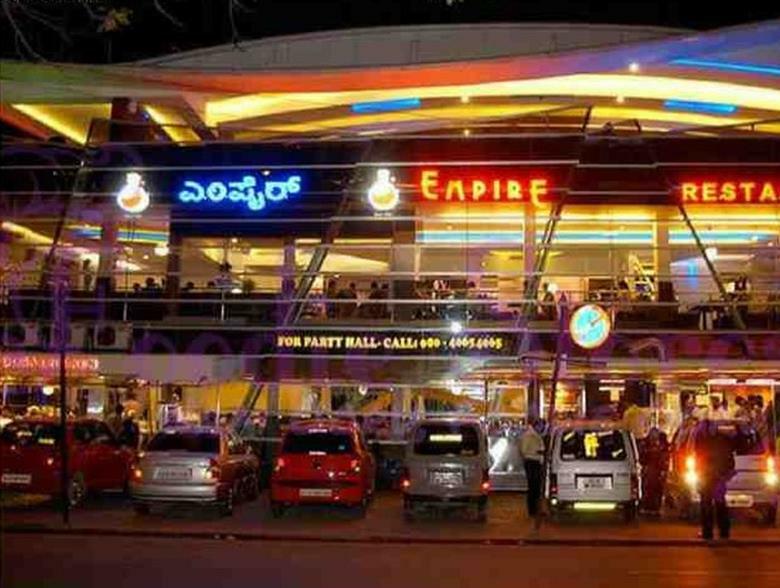 is one of the best way to experience the nightlife in Bangalore. It is the most famous and well demanded option for the people of Bangalore to have late night dinner with friends, Family and spouse. This place is famous for its late night crowd who comes here to taste some especial and delicious foods when others are sleeping in the whole city. This place is also a good option to experience the vibrant nightlife of Bangalore. This place serves both vegetarian and non-vegetarian food. The non-vegetarian dishes always have a more demand. This place serves some simply wow dishes at a very reasonable price till 1 AM to its customers. Karachi Roti, non-vegetarian side dishes and dosas are some must try options in the menu card. This place is located at a distance of 70 kilometers from Bangalore. 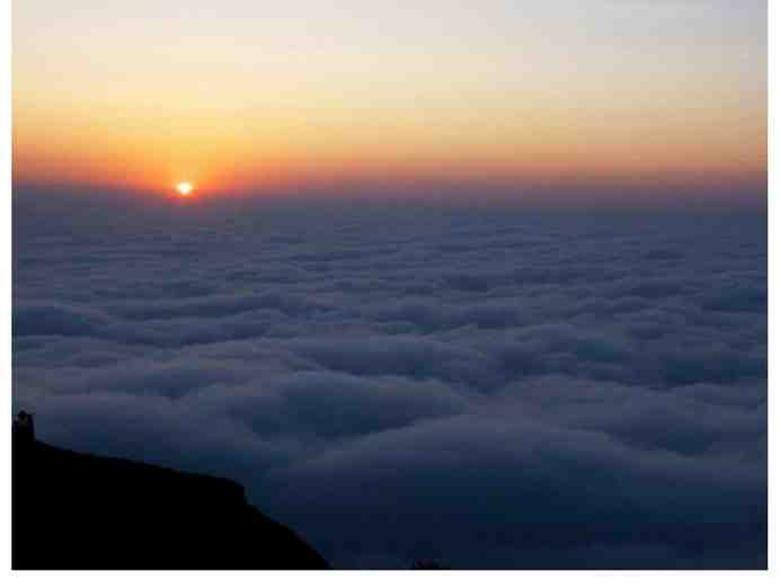 Watching sunrise with the beautiful hues over the thick cover of white cottony clouds is a dream come true moments for the trekkers. The best view of this sunrise comes when one navigates the mysterious paths of this place and reaches a proper destination for the sunrise in the night itself. This beauty ad on to the treasure of nightlife in Bangalore. Skandagiri is actually an enormous hill which is situated near the town Chikkaballapur which is few kilometers away from the main city. 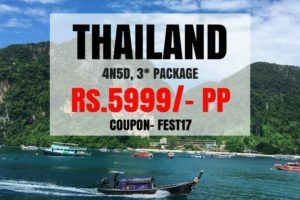 This place is mainly picked up by the trekkers in the city for a one day tour mainly to take a break from the hectic daily life and to rest their minds in the lap of Mother Nature. When you are in a mood of long night drive in the city of Bangalore and want to have a delicious dinner then this place is the best option for you. Away from the hustle and bustle of the city this place is one among the famous spots to experience the nightlife in Bangalore. 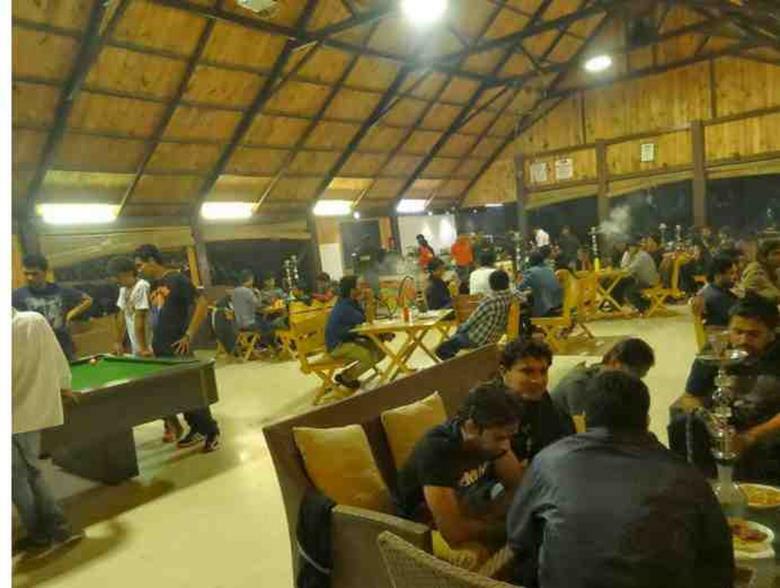 Located on the Mysore road this place demands a 50 kilometers long drive which results in nice and well managed hostility in the destination, the café. This place never disappoints its customers with its ambience or with the natural food. It is mainly a cozy little spot tucked away from the main city for sipping a cup of tea or coffee or to taste delicacies which is the best part of nightlife in Bangalore. 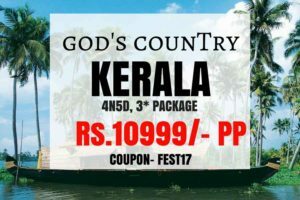 Visit this place with you gang of friends and have chit-chat, some delicious foods and lastly have pegs sip by sip and let your mind drown in the high spirits thereafter. 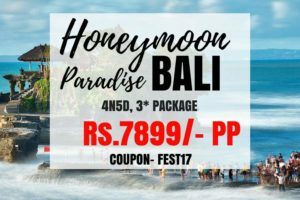 Book a suitable package for your group, (as this place offers many packages for group bookings) in advance to enjoy a cheap and best experience of the nightlife in Bangalore. This place serves its traditional and delicious food to its customers till 1 AM. At night the lights of this place dims making a perfect atmosphere to mix food with cocktails and drinks and to enjoy life like a king. In midnight becomes a perfect spot of Bangalore to soak under the happening moments of one’s life. A location or a hub with all sorts of imported beers, wines and hard drinks this place is in a common visited place by youths of Bangalore. 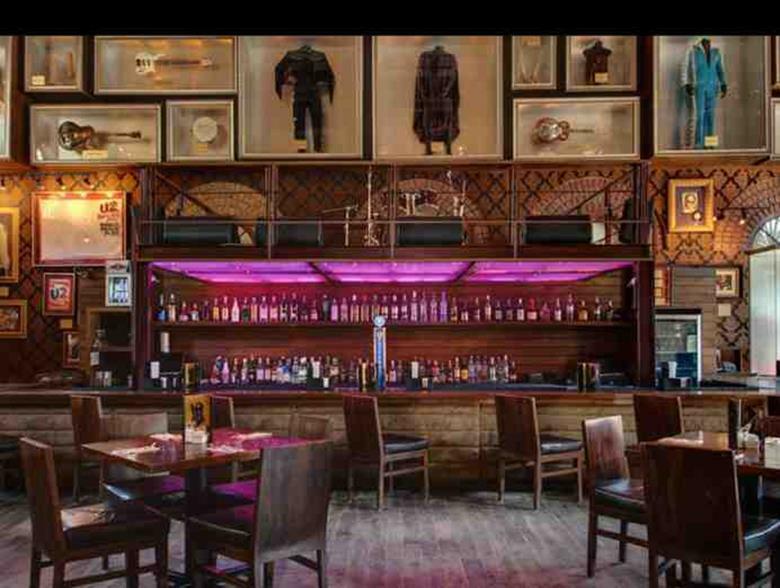 This place is a hollow space with distressed walls and a moody lightning which makes one enjoy the adulthood and experience the best of nightlife in Bangalore. 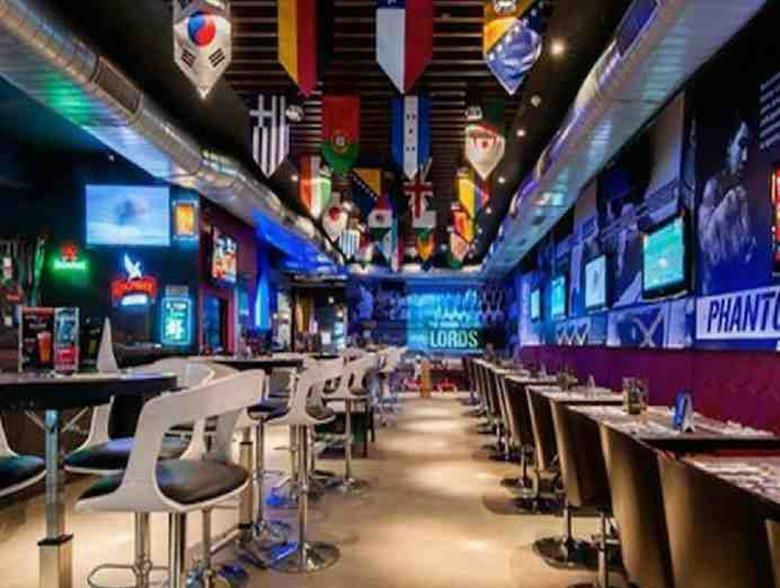 This place is a very busy spot during the sports season as one can enjoy late night matches with friends with a glass of beer or wine in the hand and support his team to win as a stadium like atmosphere is created here as the matches are seen in some big screens. This place also serves a delicious food, especially the grill items to its customers and stadium snacks like Fried potatoes, Halftime Aloo Tikkies, etc. to its customers till late nights. One is advised not to miss the signature cocktail which is unique to this place. This café is a renowned chain in the whole country and has one of its branches here. Now a day’s Hard Rock Café is a popular spot among the youths and adults, especially for the people who are between 19 to 21 years. This place is a nice choice and serves a classy American style dishes which our current youth is fascinated with. 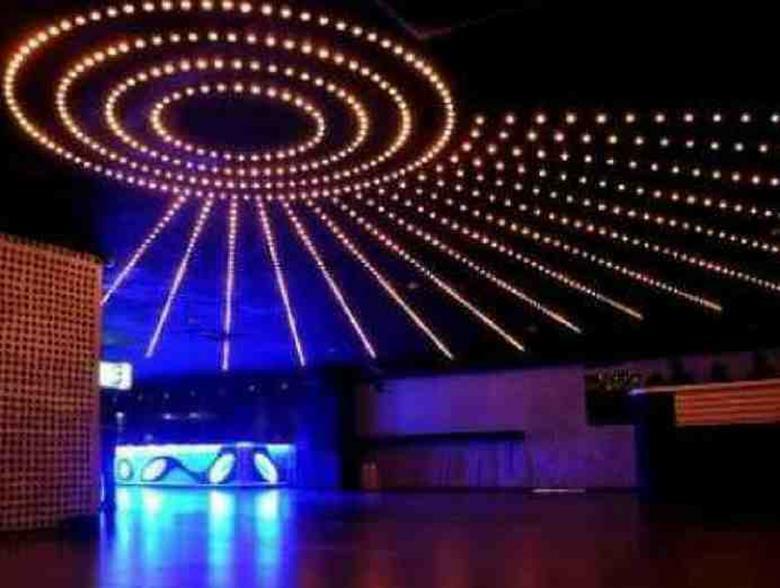 With a nice atmosphere, amazing lightning and one of the best music and dance floor this place is a paradise for the party lovers and ads on to the nightlife of Bangalore. This place is also a paradise for the Hookah lovers. If you smoke Hookah then you must try some especial and exotic flavors which are only present here as these flavors are a secret and treasure to this place. This place is mainly a rocky hill region famous for its scenic beauty at a distance of 50 kilometers from Bangalore. This place was the main location where the blockbuster Bollywood movie Sholay was shot. It is visited mainly by the trekker, who takes a ride over the Bangalore-Mysore Highway to reach this place. One can stop at the Rasta café to have a sip of tea during the journey. As safe parking of vehicles is available the trekkers park their vehicles in a safe spot and trek around the exploring and adventurous site. 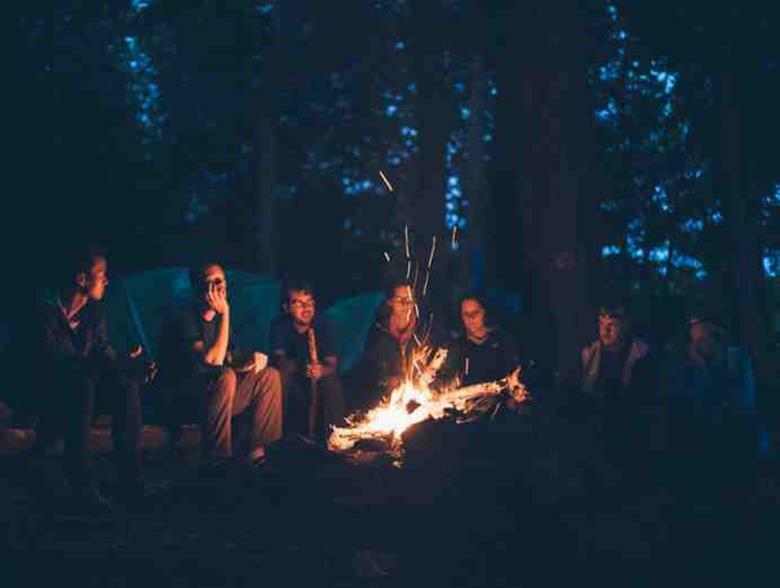 One is advised to set up a nice cozy camp to spend the very happening time and to experience the excellence of nightlife in Bangalore. You can also rest on the greenery and big stones with your friends. The posh and electrifying energy of this night club makes this place a must visit option to experience the nightlife of Bangalore. This place is very famous among the adults as a perfect heap of the city which is a happening crowd. The interior of this nightclub and an appealing music system is a bonus to the visitors. Opened till 1 AM, this place serves its customers with delicious side dishes of the types, the American style and the traditional Indian Style, with a variety of wine, alcohols and cocktails. The party crowd is very posh and usually passes are required to enter the lounge. 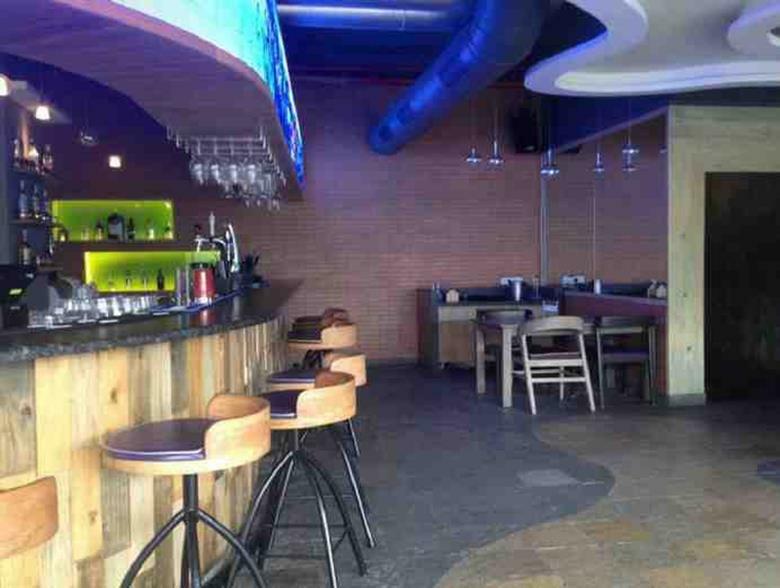 This place is also a famous spot for private parties in Bangalore. This camp is located in the laps of majestic River Kaveri. This place is 100 kilometers away from Bangalore and is a well known place to experience the nightlife of Bangalore. This place is away from the busy city life and one gets a peace of mind when he or she visits this heavenly place in the laps of River Kaveri. 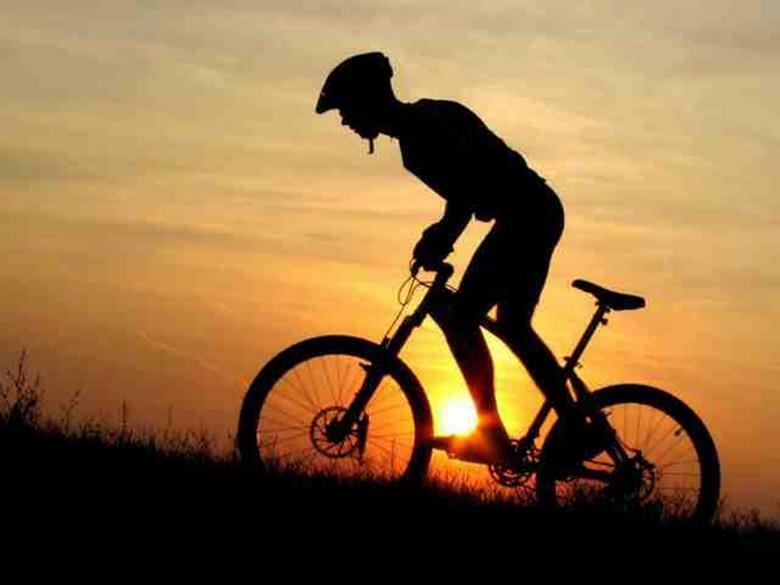 This camp is a fabulous mix of beautiful nature and wild adventure in Bangalore. One gets a chance to perform many adventurous activities like rope walking, zip line, etc. 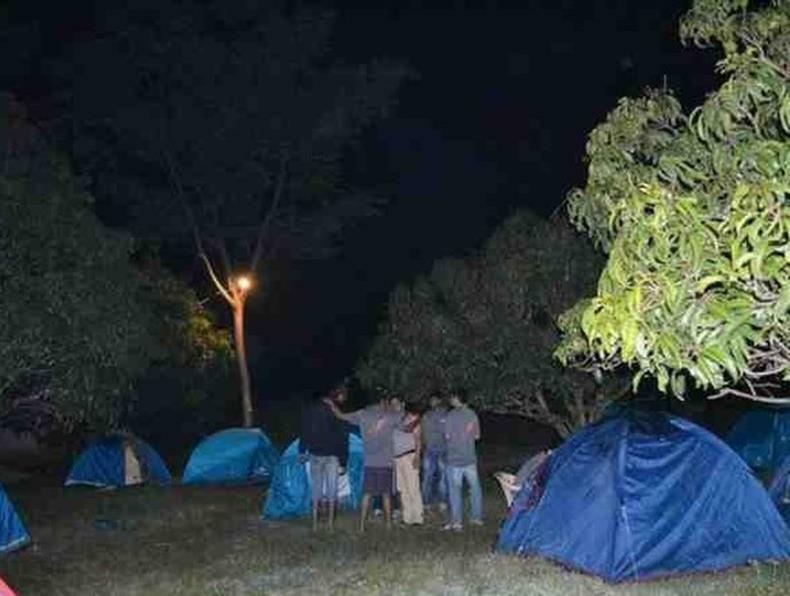 The other part of the camp is it allows you to perform natural activities like fishing, planting trees, etc. If you are lucky enough then you will be able to see the common wildlife of the place which includes elephants, deers, rare species of birds, etc. 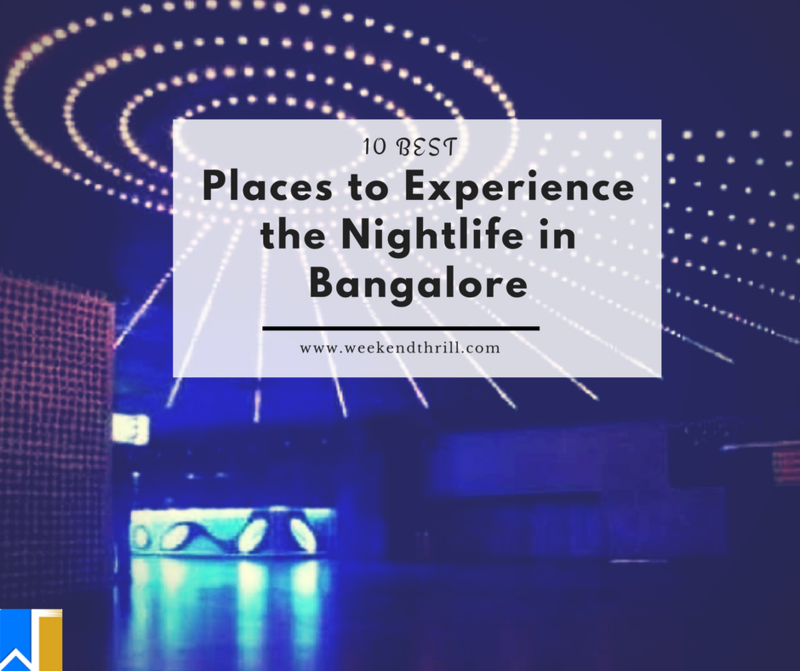 So, the late night party hunters in and near Bangalore you all can go out to a perfect place according to your choice to experience the nightlife in Bangalore. Suggest your friends and make plans. Go out for amazing parties, road drives and dinners. Check out how life is during the night which was once a time only to sleep. Don’t forget to take pictures and do capture the life living and most happening moments of your life. Go for a party with your friends and explore the nightlife of one of the famous city of our country. These moments will never return back to your life and yes do believe that life is beyond the daily routine of your life.